New tour dates have been added in late September: Burlington, VT, Millvale, PA, Ann Arbor, MI, Louisville, KY, and Des Moines, IA. Tickets go on sale this Friday, June 5 and Gabriel Kahane will join again as support. We've also added a show in Lincoln, NE on September 29 - season tickets are on sale now and individual tickets will go on sale August 11. 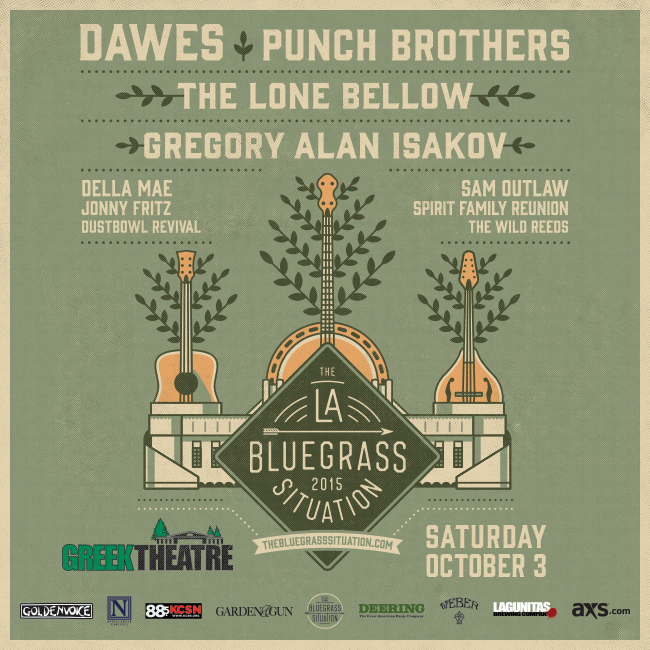 We'll return to Los Angeles on October 3 for The LA Bluegrass Situation at the Greek Theatre. Tickets are on sale now. We hit on the finer points in our previous email, but the boys have some non-PB shows coming up as well (including several this week!). You can get a full lay of the land on the tour page.